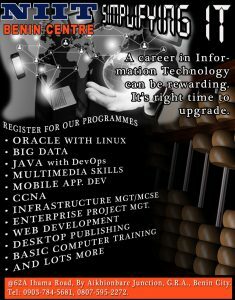 Discount for Students and Corp members on any of our courses. Enroll today @NIIT BENIN CENTRE, 62A Ihama Road, By Aikhionbare Junction, G.R.A., Benin City. Call lines: 0903-784-5681, 0807-595-2272. I have basic computer knowledge and as a graduate, I would love to acquire some skills in computing. My greatest desire right now is to know how to develop software, design website and cartoon animation. I however have six months before service and I would like you to discuss the cost and duration of this program, so I can get ready soonest. 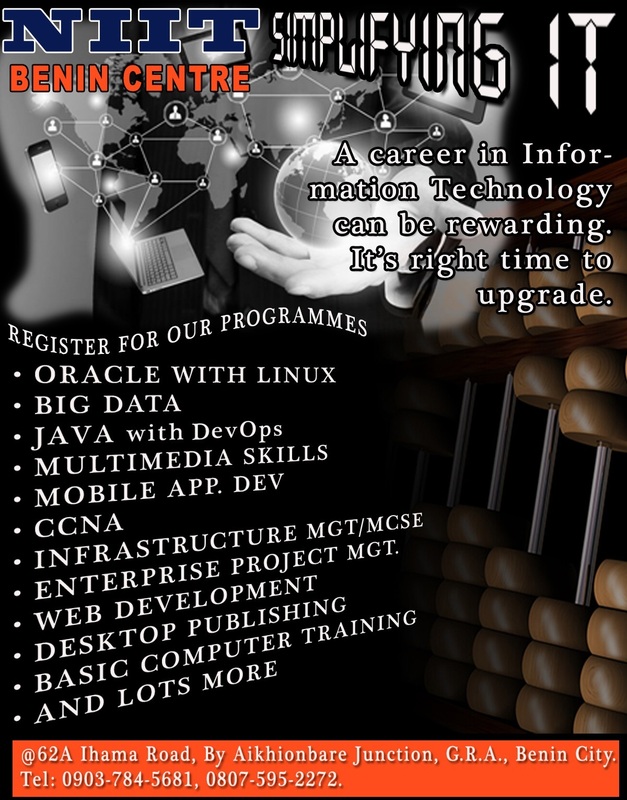 Good morning Davies, the fee for web application development is ₦120,000 which covers for your Tuition, ID card, Books and Certificate and the duration for this course is 6 months. The Multimedia skill is ₦105,000 which also covers for your Tuition ID card, Books and Certificate and the duration is 4 months.